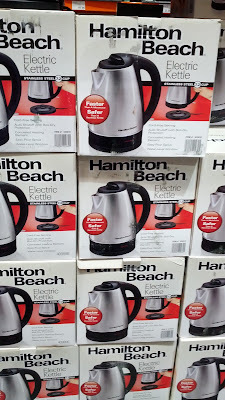 When someone gave me my Hamilton Beach Electric Kettle (model 40989E) as a gift, I never knew how useful it was until I found myself using it all the time. I got it as a gift because I enjoy drinking tea either when I'm sick or when the weather is cold. With the Hamilton Beach Kettle, I'm able to make a whole pot of boiling water in just under 2 minutes. The water stays hot for a very long time whereas if you use the microwave, the water quickly loses its heat. After a few minutes, you'll find yourself having to microwave it again before you get a chance to finish your cup of tea. The electric kettle is safer than boiling water on a stove top that it's ok to leave the kitchen for a moment while your water heats up. 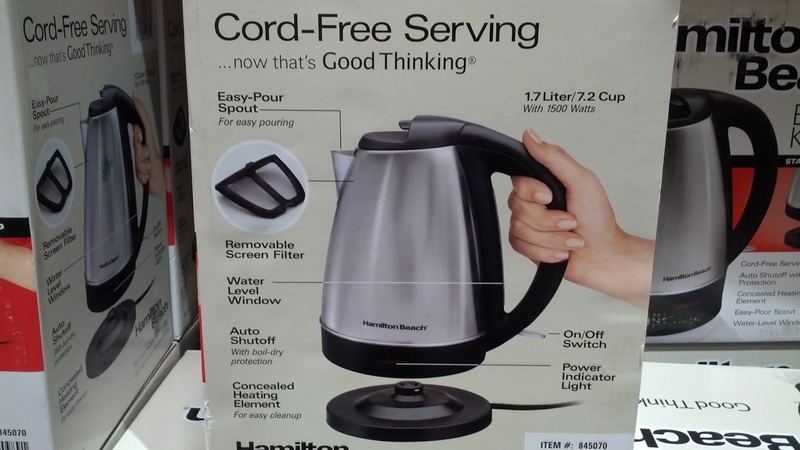 It's great that the Hamilton Beach Electric Kettle is safe, fast, and easy to use - you can just remove it from its heating element (or "docking station") and use it to pour cups of hot water to serve especially when you have guests. I'm really impressed that the kettle is very inexpensive for what it does, yet works really well for what you want it to do. 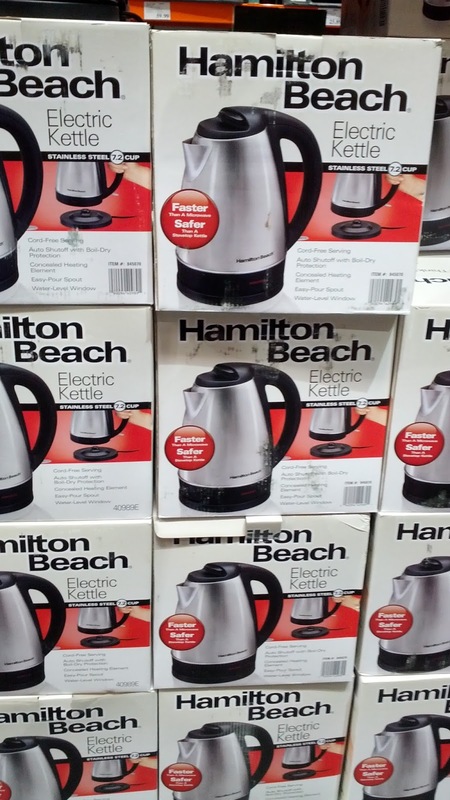 The Hamilton Beach Stainless Steel Electric Kettle is the perfect kitchen tool for the tea lover in you. The Hamilton Beach 40989E can boil water fast and safe. It's surprising that the Hamilton Beach Stainless Steel Electric Kettle is not expensive, but works really well. Hamilton Beach Stainless Steel 7.2 Cup Kettle. Faster than a microwave – safer than a stovetop kettle. We bought this product in February of this year and had to return it in May because the bottom corrodes and leaves little black flecks in your water. This seems like a genuine concern, but when I contacted Hamilton Beach, I only got a "canned response" asking me to send money along with a part of the cord so that they can send me a new one. The problem with that is this was my second unit which did the exact same thing so why would I want another one of these defective units?? They need to look at their manufacturing and design process and fix the inherent issue, which they seem unwilling to do. Buyer beware!! Hello @Sheri, it sounds like the manufacturer for the Hamilton Beach Stainless Steel Electric Kettle really needs to work on both their quality control and customer service. 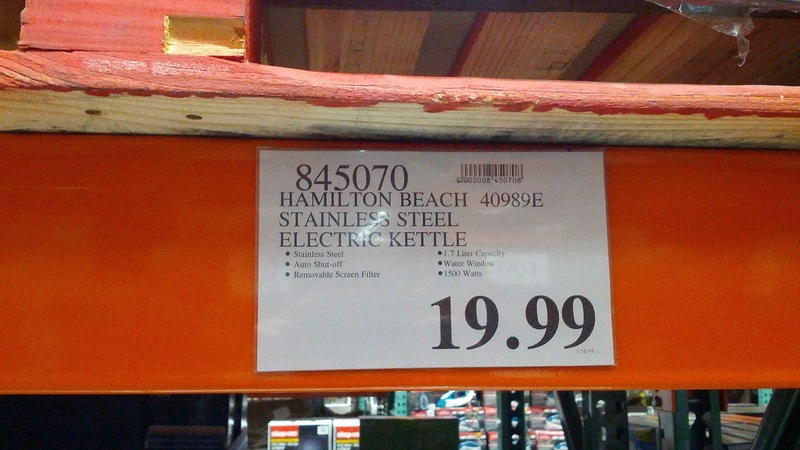 It's a good thing Costco has a pretty good return policy on items you're not completely satisfied with.